In the Collar series fashion meets furniture. This piece from the Erik Bagger Furniture collection is an endearing side table inspired by the collar on a classic fitted shirt. Simplicity and adorability is the essence of the Collar Table. It consists of few but quite fantastic elements. 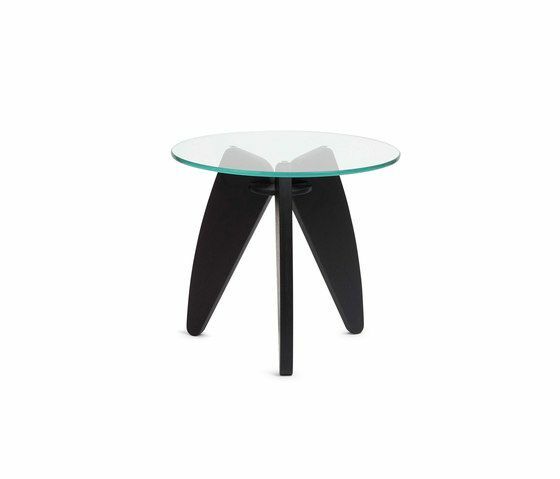 The collar shaped base is made entirely of black ash and the table top comes in two transparent versions – pure glass for ultimate serenity or smoked glass for a deeper, darker look.